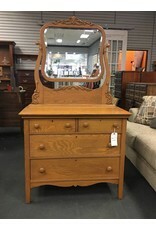 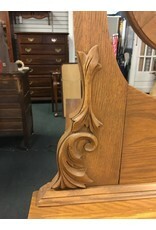 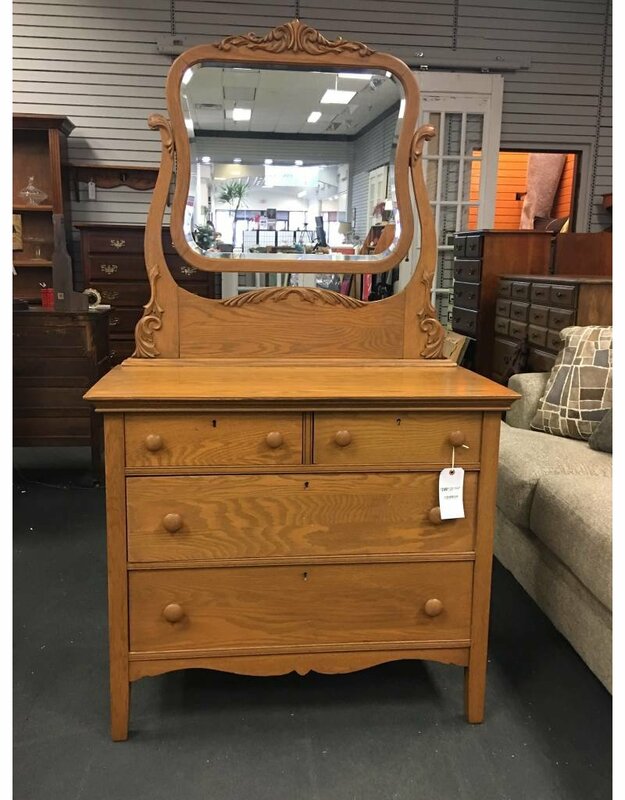 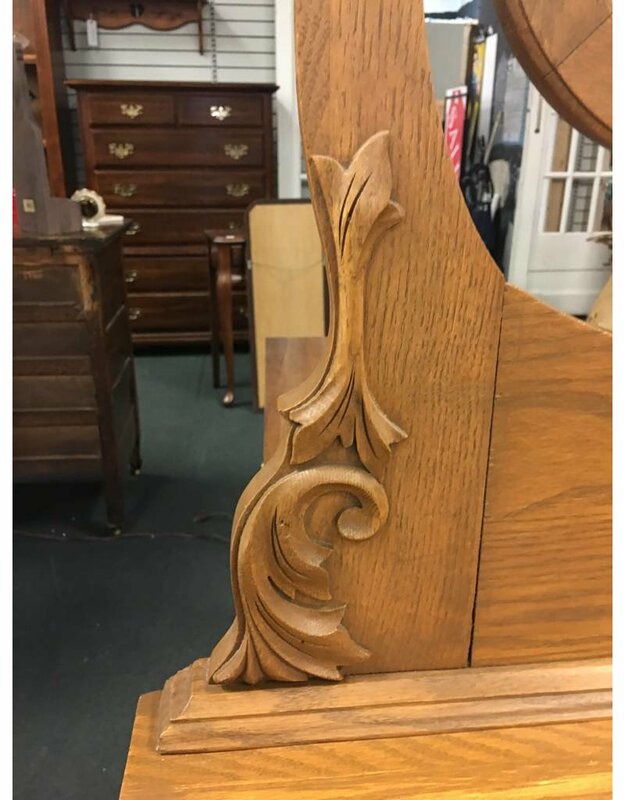 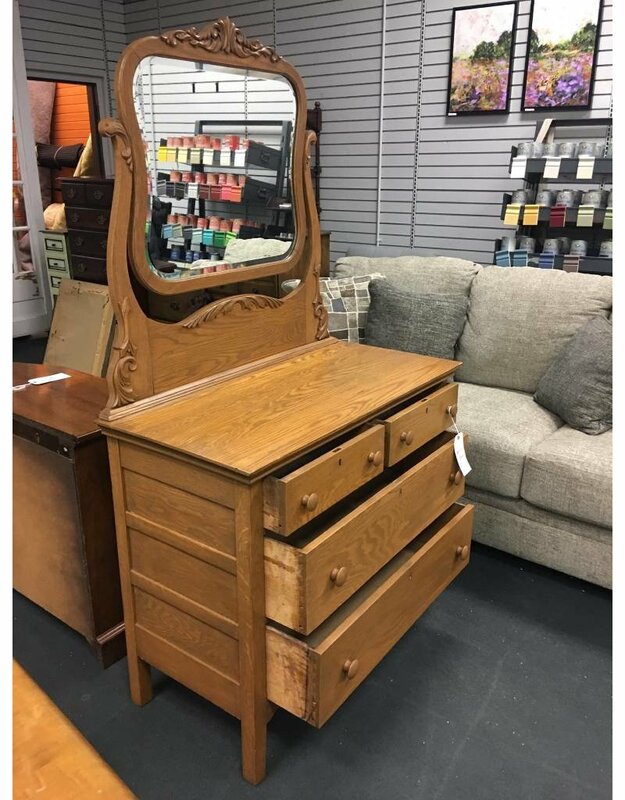 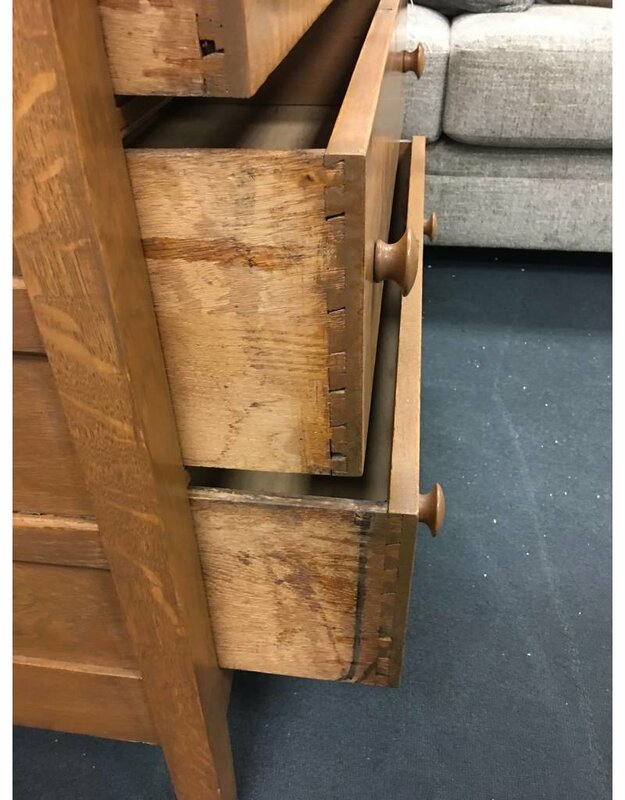 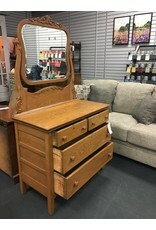 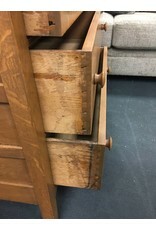 This vintage oak dresser makes an amazing project piece or leave the muted golden finish for an authentic vintage aesthetic. 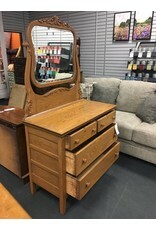 The dresser features 4 storage drawers, all made with front and back dovetail joint construction, minimal surface wear, and an attached framed beveled mirror. 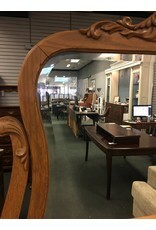 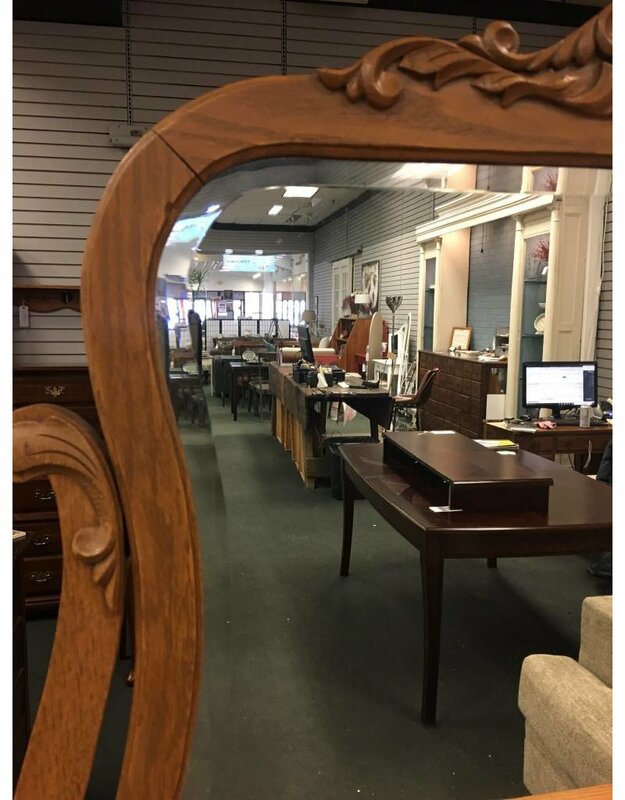 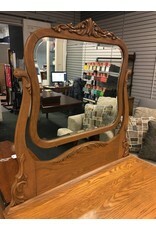 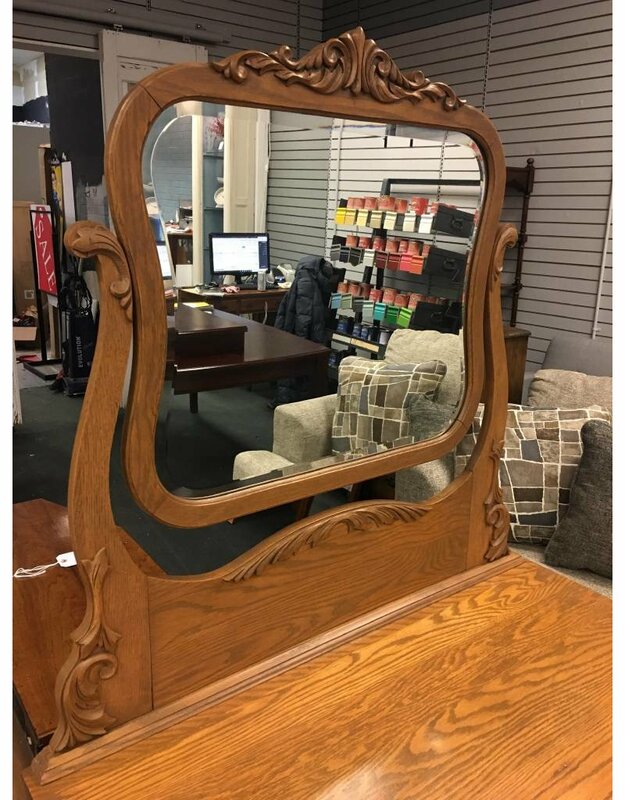 The mirror's frame has relief style carving that add a touch of elegance. 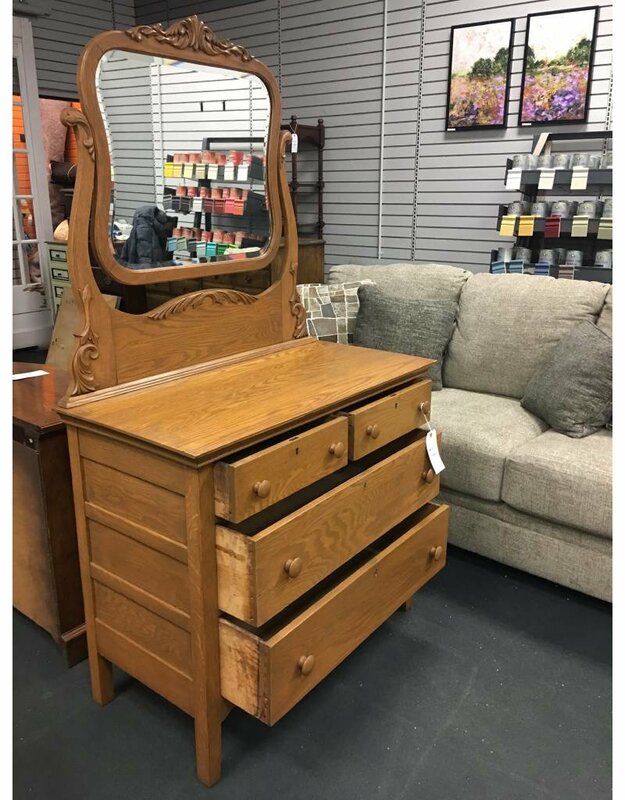 Check out our selection of General Finishes gel stains, milk and chalk paints, glaze and pearl effects to get your creative side started!